Below are the Notes from Cobra's Ascension Conference in Taipei on 11 - 12 March 2017 written by Peter Reed (dupres@mac.com). These have been approved by Cobra for public release. 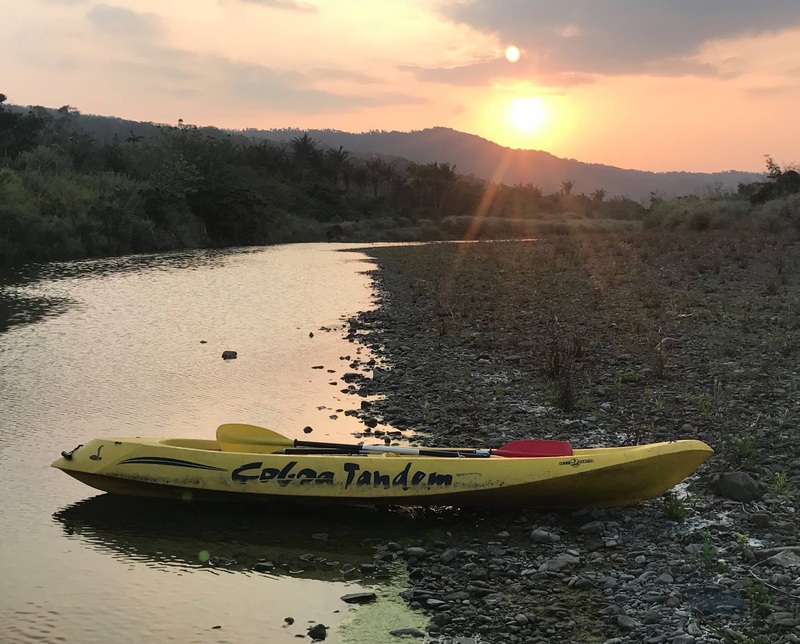 The photo below, "Cobra Tandem" was taken in Jialeshui, Taiwan, the day I sent them to Cobra for review. Synchronicity at it's finest! The following are key aspects from my notes and memory of the Cobra Ascension Conference i attended in Taipei on March 11th and 12th. The conference was beyond anything i imagined or expected and I shared at the end to everyone, that i have been down many spiritual rabbit holes in my life and that Cobra’s teachings in this conference truly felt the deepest, most relevant, and most promising in fulfilling my own personal Ascension trajectory…as well as our planet’s. Any word or phrase in italics is from my own “inner standing” to help clarify or put into context the wonderful material that Cobra presented, or simply because i did not remember or hear clearly the word or phrase that Cobra used. I also took the liberty to paraphrase some of his material for the same reasons. These notes have been approved by Cobra for release to the public. We have been born in this time to facilitate the removal of all darkness. Our Ascension process, both personal and planetary, is a Galactic process as well, and is part of the “great purification prophecy.” Every 225 million years our galaxy completes one rotation and approximately every 26,000 years emits a super wave or pulse from its center. We are in the initial phase of that pulse which basically clears the primary anomaly, the source and cause for all darkness. The timeline window of 50 years for this clearing of the primary anomaly and liberation of our planet we are in, extends from 1975 to 2025. In 1996 there was a major set back with the archon invasion of the Congo portal in Africa, through which infiltrated much darkness and negativity. However, on May 17, 1998 there was a significant reversal reached that cleared much of this negativity. And then during the solar eclipse on February 26 we reached a critical mass with the global meditation, which exceeded expectations and resulted in more significant reversal of that archon invasion, and clearing of the primary anomaly throughout our solar system. The body of the Yaldaboath which is the energetic form describing the dark anomaly that existed throughout the plasma of our solar system, completely dissolved. Now only the head of Yaldaboath exists surrounding our planet. This marks the beginning of the second phase of our ascension process. Our personal ascension process consists of the activation of our light body and becoming fully embodied with our I AM Presence. The Pleiadians are here to assist us in this and in our planetary ascension as well. 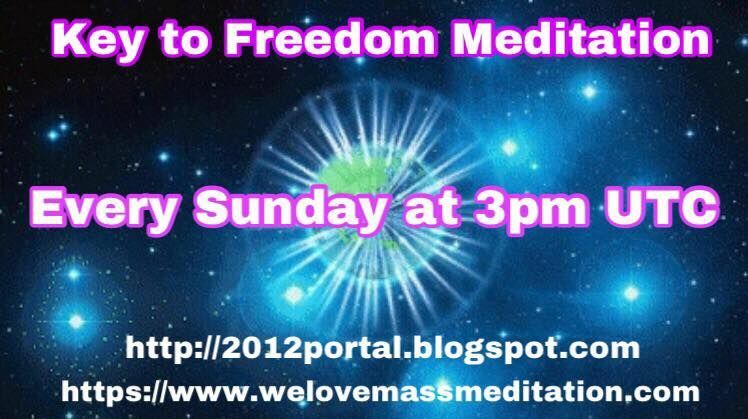 “Relax your body and take a full breath into you plasma body… and slowly exhale fully. Now breathe into your energy body… and exhale. Slowly breathe into your astral body… and fully exhale. Now fully breath into your emotional body… and relax and exhale. The three forms of matter are solid, liquid and gas. When a particular gas is heated to an extreme, it becomes an ionic gas, holding immense amounts of energy - which is plasma. The incredible abundance of cosmic plasma filaments throughout our galaxy holds the keys to free energy. Plasma is made visible in our world in the form of lightning and the aurora borealis. Etheric plasma also holds a tremendous amount of information. Reactions and emotions increase in plasma in our pineal and pituitary chakras and are transmitted to the physical plane and become “our” reality. (i think this is why feelings and emotions play a major role in the manifestation process and how we create our reality) The cabal has placed a scalar plasma network in the brain (similar to computer software programs?) to block our access to higher consciousness. 95% of all illnesses are created as a result of this negative plasma network. Antigravity plasma propulsion can make a bridge or portal between the physical and non physical, and thus there is no “speed, gravity, or actual mass” involved. The same “meta- physics” are utilized in the plasma standing wave that transmits electrons across space, which is what Tesla discovered…. and he created devices that could transmit electrons (electricity) without the use of wire. He and his inventions were hijacked by the cabal. Originally the earth’s equator was located in a different place around the earth, running through the north Atlantic ocean through the continent of Atlantis that existed at that time, and down through South America through Peru and Chile. The Atlantis pole shift which was created by technology, shifted the equator to where it is today. In time the ley line system was hijacked by the dark forces. The New Atlantis project was started in the 17th century by certain individuals including St. Germaine, who was Francis Bacon in that incarnation, (whose code name was Shakespeare) to reclaim the energy grid for the light forces. The book entitled, A Work Unfullfilled is about this such project. Antarctica is a key point in this new energy grid, where the cabal is hiding remnants of past civilizations as well as intel that will be part of the disclosure in the (near) future. This is one reason the Nazis have bought much land and have occupied this area. Other key places are the Gulf of Eden (Saudi Arabia) Ceylon, and the Amazon river delta. Many of these remnants lie under shallow water and sand. Things have progressed to the extent that the cabal is most dearly afraid of the Mother Ships (Galactic Central Race) The cabal’s most powerful radar stations for monitoring ET activity exist in Maui and Diego Garcia Island. However the Mother Ships cannot be detected due to it’s placement inside a plasma cloud. (the same “technology hides many ET ships in what appears to be lenticular and other natural cloud formations). Northern Taiwan holds the largest underground project (of the Galactic (and terrestrial) Light forces-(60km x 100 km) which can house 1 billion Pleiadiens and is expanding to be able to house 3 billion. It houses teleportation devices and 1000 tons of gold. On July 16th, 2016, at the Ascension conference here in Taiwan, there was a huge energy break through for the planet. This area is a very strategic point in the energy grid and is very much assisting in the compression breakthrough for the planet with the help of the Dragon family. (In my first trip here, for the conference, i could feel and see the Light energy of this area, most tangibly in the hearts and eyes of the beautiful Taiwanese Lightworkers) The Dragon family goes back to the end of the Ming Dynasty, when the Manchurians in Mongolia (from the Ching Dynasty, who were not Chinese) came to China. The original Ming were a militant as well as a spiritual family and went underground and migrated to Taiwan. Before we can go to higher conscious states, we need to remove ourselves from the darkness… remove ourselves from the primary pact - which are contracts we made when incarnating…. and thus reclaim our sovereignty and become free again. These contracts are registered in the body as well as the mind, and so we need to cancel these contracts not from a personality level but from a soul level. The pituitary and pineal chakras are connected in the area in the middle of the head. They connect our physical body to higher electro magnetic fields, frequencies and (and dimensions) The cabal has very strategically and successfully implemented ways that atrophy the pineal and pituitary chakras and glands, thus blocking our connection to our Higher self and higher states of consciousness. They also regulate the immune system, the other chakras, as well as our emotional and mental bodies and have the ability to reverse the aging process. In essense, they connect our physical body to our soul. There are methods to reactivate them, one of which is the use of colloidal gold. Cobra then gave us a method/meditation for activation of the pineal-pituitary chakras. This is the core of our individual ascension process and can be invoked at any time. 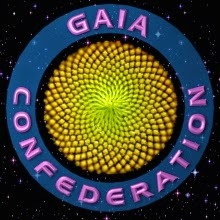 Cobra then took some time to talk about the various Galactic Ray and Ascended Master Ray Initiations that we had the opportunity to register for that would be given outside of the time alloted for the conference. We could sign up for a total of three. Each ray had a particular corresponding quality of initiation that he mentioned. He also talked about what would take place and how we were to engage ourselves with the initiation as well as how to practice it twice daily. Cobra talked about the manifestation process and about how the Rothschilds used it to come into power and basically control the planet. We have to be completely honest with ourselves and have enough awareness in our lives to see how and why we are choosing what we are choosing…. otherwise our decisions become distorted and our lives can become diverted from our true aims. An example would be that if a man wants approval from his father he chooses to study medicine to become a doctor. Finally later in life he realizes this and chooses to do something totally different…. something his heart really wanted to do in the first place. Our fears can also distort and inhibit our power to see and choose what we really want to manifest, which the above example shows clearly. Fear can only manifest with lack of honesty. There are three simple steps to the manifestation process- 1) Decision. 2) Will/Invocation 3) Action. Every thought and every action creates ripples through the infinite field of consciousness. We are far more powerful than we realize. Those that have the most I AM presence knows this truth. Our I AM presence is emanating the energy of our beliefs. Our thought filters that energy with certain frequencies and then is filtered through our emotions and eventually manifest as physical reality. Our beliefs can change the world. We are shaping reality on this planet and we have strong forces helping us- above and below the planet, so don’t be afraid to ask what you truly want. St.Germaine said ask and you shall receive. Decision is much more effective if coming from our I AM presence. We have to be crystal clear and consistent on what we want and not waver in our thinking. It is worth it to spend time getting clear. The cabal is distracting us by making us think it is selfish to know what we want and to work for it. After the Event, manifesting will take place much quicker - immediately in 5D. Action is physically acting and doing something you are inspired to do based on your previous decisions and invocation of what you want….whereby you have an experience of the energy of your desired manifestation…. becoming a cellular language. An example of this in my own case would be my desire, decision, and invoking the meeting of my twin soul flame partner. I feel a presence of her energy through many of the women i meet and recognise as an embodiment of the goddess and recognize the qualities in them that i would like to have in such a partner. (and appreciating them which is part of step two) I recently decided to come to Taiwan (from the U.S.) and the Cobra Conference with the possibility of meeting her., which would be action, step three. Even though i may not have met her on my one month journey here I feel much closer to my I AM presense and feel closer to her and meeting her through connecting with the women “angels” in Taiwan. What i am describing here is also an example the expansion and appreciation of energy in our “reality shaping”, in the next section. Cobra has also mentioned that meeting our soul mates will become much easier and much more likely to happen after the Event. In the same way we manifest something, we can demanifest. Simply state, “I do not want “The many things we may have in our life that we do not like, exist simply because we have not made the decision to say no to them. We have the power to simply walk away from people and refuse to meet them. We can start with the things in our own environment -possessions, home, relationships, etc. and expand out to the planet. 144,000 people saying absolute no (to the cabal having any power over us) would result in the compression breakthrough. We have to make the decision and keep focused. We have to be willing to never give up on what we want to manifest, no matter what. This is how the Rothschilds came to control the planet. Cobra then instructed us in very physical way in engaging ourselves in the manifestation process. (The previous day he had asked us to bring magazines, large paper, scissors and glue to class) We broke up into smaller groups to share the resources we had brought as he asked us to cut images out of the magazines that correspond to what we want to create and manifest in our lives and living. Then once we had enough images, to paste them on each of our large pieces of paper. He gave us plenty of time to do this It was a fun and engaging process for me and i think for all of us. The images that i found and cut out felt very close to things in my heart that i have wanted in my life. When i glued them all together it created a powerful visualization of what i want to manifest in my life. After words Cobra said that we can visualize our images as a field of energy spiraling in a vortex coming towards us (coming into our being). 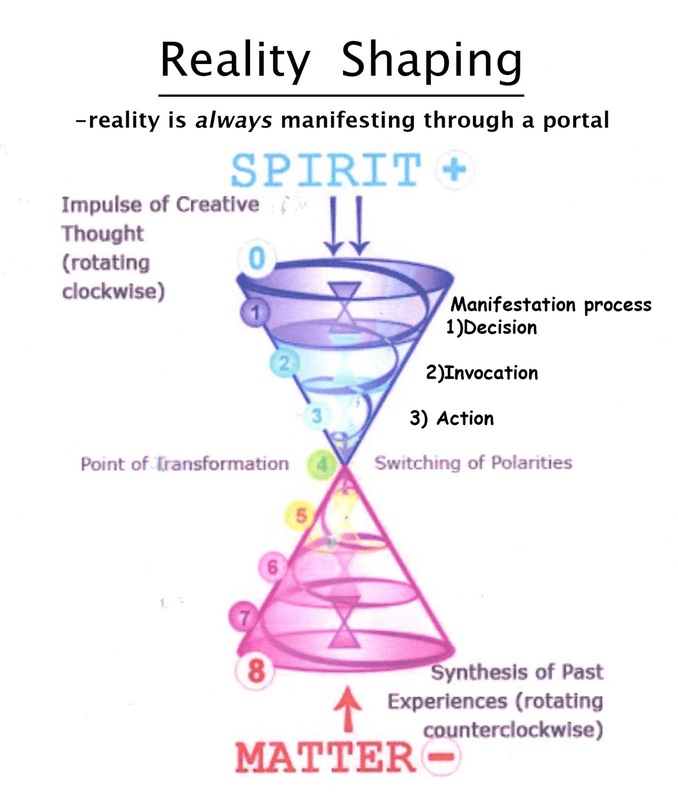 We can repeat to ourselves, “ My I AM presence is creating a vortex of energy (exchange) with the planet and attracting situations i have created and am creating in my (reality/life). Since the recent clearing in the solar system of the Yaldaboath body, the negative anomaly within the plasma fields, the Pleiadian mother ships have been able to station themselves in areas just outside of a 12,000 km range from the surface of the earth, which is just beyond the head of the Yaldaboath which still cloaks the earth. They, for the most part, remain invisible to us and to the cabal. 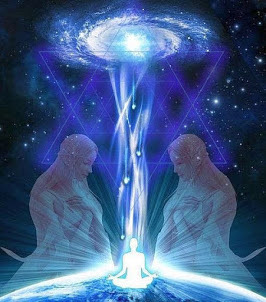 (although the cabal is aware of their existence and very much afraid of them) We can make a conscious connection to the Mother Ships at any time by visualizing a pillar of Light connecting our body, through the primary anomaly that still surrounds the earth, and up to the ship. They welcome our connecting and the more we connect to them, the more active they will become in engaging with us. 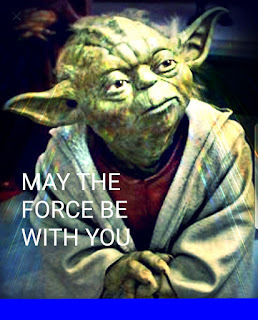 Connecting with our Galactic brothers and sisters as well as with our terrestrial Lightworker brothers and sisters, is helping to manifest the Event. Every time this veil is pierced, either psychically or physically, the primary anomaly dissolves more. Every time we connect our hearts and Light to the hearts and Light of others on the planet, we grow and ground the Light. Every announcement that is made my Cobra is from the 70 million Resistant Movement’s higher forces. wow, what a great blog site you have here, Hoshino. thanks for sharing my notes.